US stock market had the best quarter since 1991. 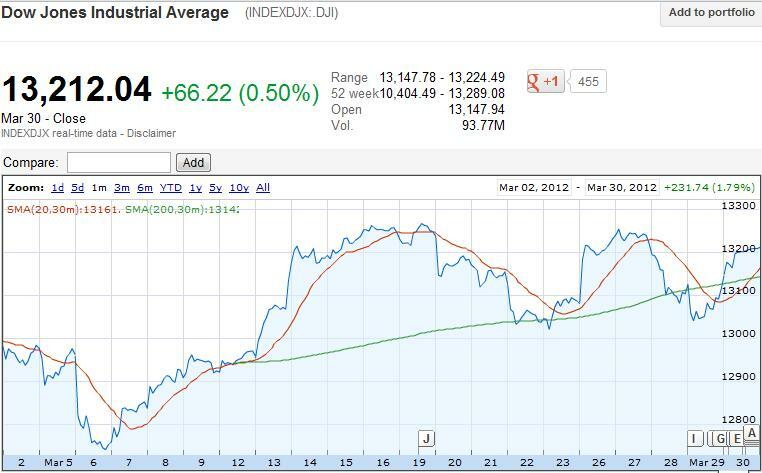 Dow up 994 point or 8% in 3 month, and 2298 point or 21.06% in 6 month. 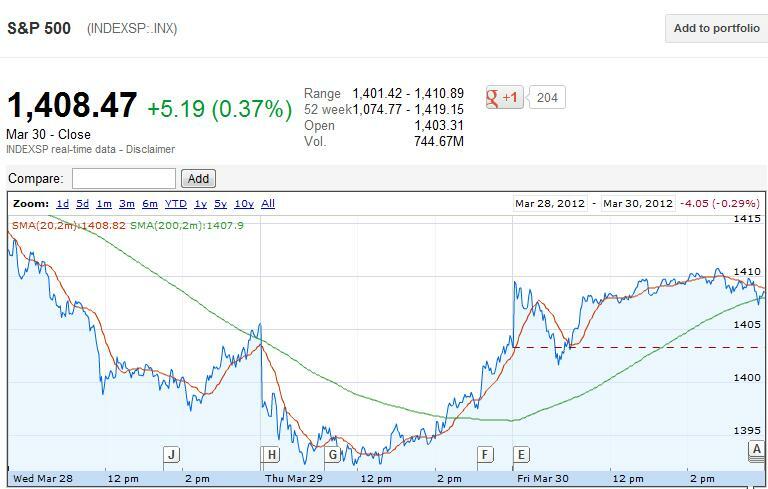 S&P500 was up by 150 point or 12% in 3 month and 277 point or 24.49 % in 6 month. 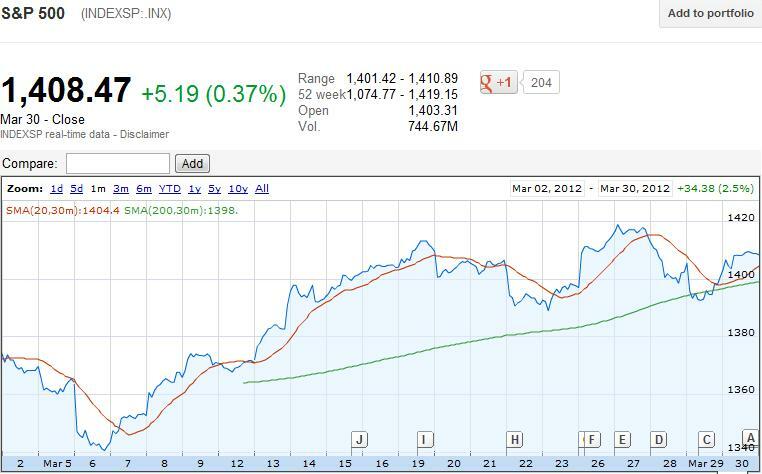 Nasdaq was up by 486.12% or 18.67% in 3 month and 675 point or 27.99% in 6 month. This number are simply unbelievable. Nobody could even imagine of such rally considering there was so many negative news coming out everyday, yet US stock market managed the best quarter with just mediocre economic data. There were maximum shorts in this market who were betting against the downfall of the market, and lost huge money in very short time. The only people making most out of this rally were Hedge fund manager and Wall street people made sure this time they will get huge bonus which they didn't get at the end of 2011. As I have always said Wall street try to engulf maximum people money since there were highest short in this the market, so the market had to rally. At the moment volume is very very thin and so maximum people are not playing this market, and the market won't sell off till there are maximum people taking bullish side. So becareful with this manipulative market. The technical level to watch for April 2nd in Dow if your bull is 13330 and S&P500 is 1411, the stock needs to stay break this point and stay above it to maintain bullish sentiment, while if Dow is able to break 13196 point and 13161 point and S&P500 1405, then bear will have good time if its able to close below this level. For bears the main issue is the manipulative rally which take place between 1.30 pm EST and 2.30 EST. The day it doesn't happen, we can say its fair market, at the moment full manipulation is going on. Dow has rallied 160 point since Thursday low and erased all the losses. The chart is bearish only if Dow is able to break 13196 and stay below it. 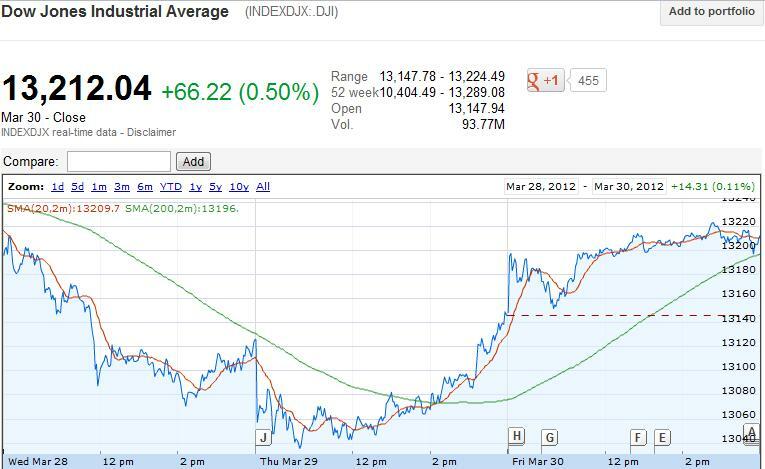 1 month chart for Dow is now bullish as long as it stay above 13200. If dow can break 13142 then the chart will become bearish. 3 Day chart for S&P500 is bearish and if S&P500 fall below 1405 then bear will have good run but if S&P500 stays above 1411, then bull will have good run. 1 month chart is bullish for S&P500 but the gap is very narrow between bull and bear and it can be anybody's game. If S&P500 is able to break 1398 and stay below it bear will win while if S&P500 is able to stay above 1411 then bull will have another winning day. Next week is very important as lots of economic data is coming out with FOMC, ECB meeting. So it will be volatile week. Watchout Puts in FSLR, PCLN, AAPL, GOOG, CRM, FOSL, MA, V, FAS, VXX if your option trader. Other stock to keep an eye are UVXY, FAZ, TZA, TYP. Remember don't keep anything invested overnight.